Your dog’s diet isn’t something that should be taken lightly. Just in a similar way that you wouldn’t feed yourself, below-par, substandard food, you should ensure that your dog also consumes only the best. The biggest contributing factors to a dog’s health and welling are exercise, mental health and you guessed it, diet. Your dog’s eating habits can have a very real impact on not only their present health, but also the longevity of their life. Each and every time you turn on the television or open a magazine there’s a good chance that you’ll see an advert for [insert generic dog food brand here]. These companies that mass produce dog food, package them in shiny, colourful foil and relentlessly shove them under your nose spend millions on branding and advertising each year. However, it may be worth them spending some more time on creating a product that’s better for your dog. Many well know dog food brands include a large amount of grain within their product. This grain is not good for your dog as their digestive system can often struggle to break it down. By switching to a quality grain free dog food that contains a higher meat content your pup will be avoid many digestive issues. Introducing fresh foods such as fruit and vegetables to your dog’s diet will provide your dog with lots of live enzymes that will contribute to better overall health. 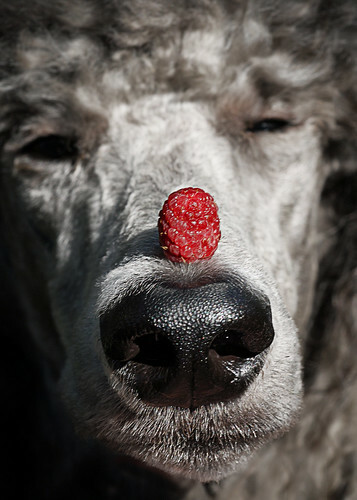 Fresh fruit and vegetables are also rich in fibre will help to conquer any of your dog’s digestive issues. We’ve all been known to pop a little bit of our leftovers/extra dinner into the dog’s bowl; and whilst this won’t do much real harm, these foods would be far more beneficial to them if they weren’t cooked. This seems obvious, but organic fruit and veg is no doubt more beneficial for you dog than food that is pumped full of preservatives. Even though many non-organic foods are labelled fit for consumption, studies do indicate that they aren’t particularly safe. A lot of generic dried pet food contain gluten. This gluten is included in the food to stop lower class fats from going off and becoming rancid. Gluten can be very harmful to your dog’s liver and kidneys as it forces waste products to be retained rather than excreted. On top of this, gluten is one of the main reasons that your dogs ‘passing of wind’ can often kick up such a stench – which is no good for anybody. We’re guilty of over feeding our pups every now and again, but we really shouldn’t. 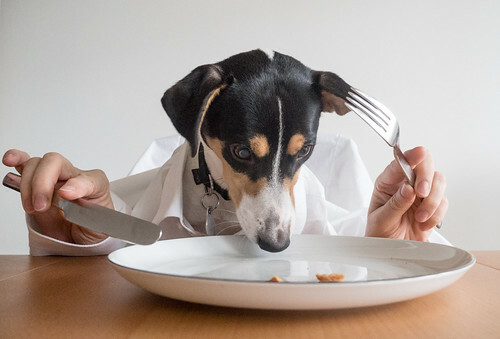 Over feeding your dog will of course bring on weight gain, and as they grow older (and less active) this weight gain will accelerate leading to muscle and joint problems. If you dog is overweight then feed him/her earlier in the day. This will give them more time to burn it off walking etc. Similarly, if your dog is in a position where they need to gain a little weight, then increase the amount of feeds per day, and feed them before bed time – this means they won’t have the chance to burn off the food. Is your tap water good enough? One thing that is rarely considered when it comes to dog’s diets is the quality of water that they take on. In my experience, the vast majority just fill their dog’s water bowl up with tap water; and there’s nothing wrong with that. 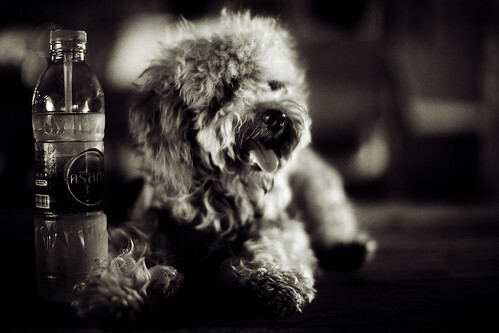 However, tap water contains a number of chemicals that aren’t great for dogs. So, it’s a good idea to either filter your dog’s water before filling up their bowl, or even buy in some quality bottled water for your dog. Trust me, they’ll thank you for it. Great post, Haopee! The one that everyone seems to overlook the most is #7. It makes all the sense in the world, but everyone overlooks water. We hope all is well with you and your dogs!